I got hooked on music at ten years old when I received a small Casio keyboard for Christmas. It was everything. I started creating and never looked back. Since then, I've fronted a couple different bands and I currently produce my own music as a solo artist. In addition to being an independent artist and songwriter, I enjoy creating orchestral arrangements, recording piano and keyboard parts for other artist's projects, and producing original songs - whether mine or someone else's. 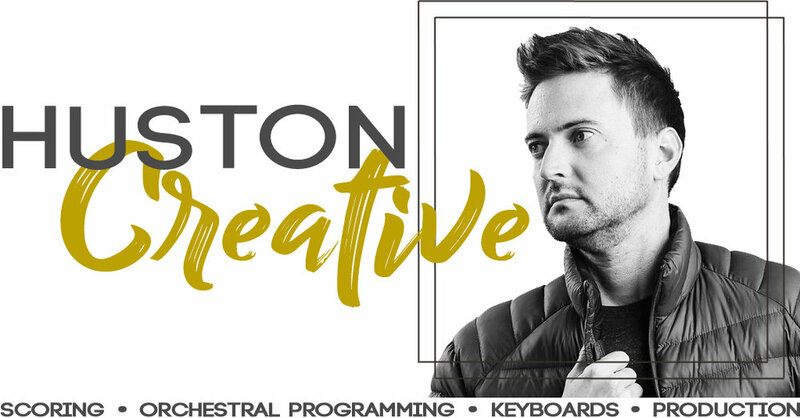 I operate out of Tall Trees, my studio located at my home in Nashville, where I have everything I need to score film, record piano, synth, organ parts etc, create string and other orchestral arrangements, program drums, and produce songs from scratch. Of course, this being Nashville, I also have numerous top tier instrumentalists available for projects that call for it. To discuss the needs of your next project, please contact me at tylerhuston@me.com. I look forward to hearing your vision and collaborating with you. With this trailer for the Bärrdok the Wanderer digital comic book, I aimed to create a powerful orchestral theme that included a few different musical vignettes to accompany the different characters as they appear. The end result is a cohesive 84 second score that follows the whimsical visuals of gifted artist and story teller, Mike Priebe. I composed, recorded/programmed, mixed and mastered all orchestral instruments, piano, guitar and drums. I had loads of fun recording and producing this lush Christmas medley, performed by Los Angeles based artist, Jessica Martindale, and myself. Jessica and I wrote the arrangement, with it's somewhat altered vocal melody, and I wrote and programmed/recorded all accompanying music, as well as tracked and comped both vocals. Mixed and mastered by Jared Ribble at 745 Recording Studio. Matchsticks was written and recorded by myself, with the exception of bass guitar. I performed all piano, synth and vocals, as well as programmed the drums. All guitars performed by Josh Horne. Bass performed and recorded by Mike Symons. Recorded at Tall Trees and 745 Recording Studio.